After the WWI, production quickly recovered. 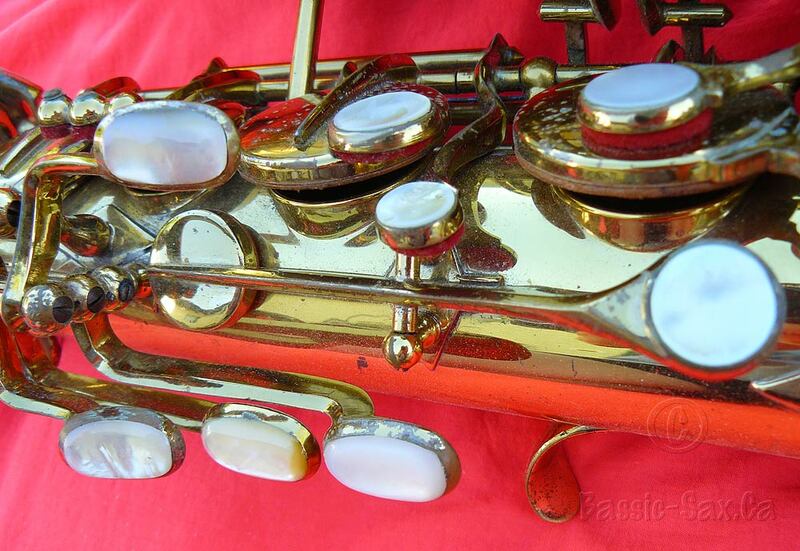 Between the two World Wars, there were 59 musical instrument manufacturers. Among the biggest of these firms were: Bohland&Fuchs, Hüller & Co., A.K.Hüttl, Julius Keilwerth, Karl Püchner, Adolf Rölz, Ant. Kohlert etc. However, during WWII, many plants ceased to exist, while others served military purposes. 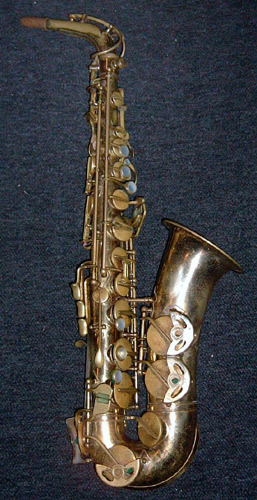 In September 1945, a Cooperative of musical instrument manufacturers was established in Kraslice. And because the production of both wind and stringed instruments was anticipated, the Cooperative was given the name “AMATI”. In 1948 the entire production had been nationalized. 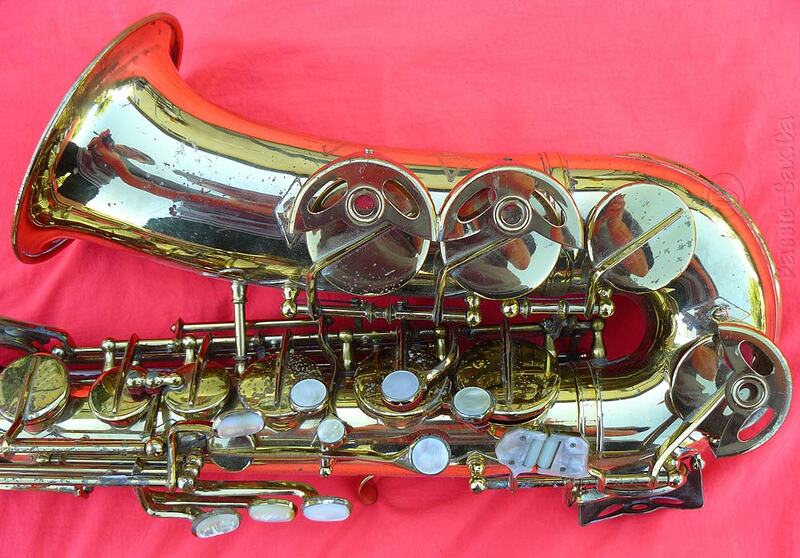 Kraslice gradually became a center of wind and percussion instrument manufacture. 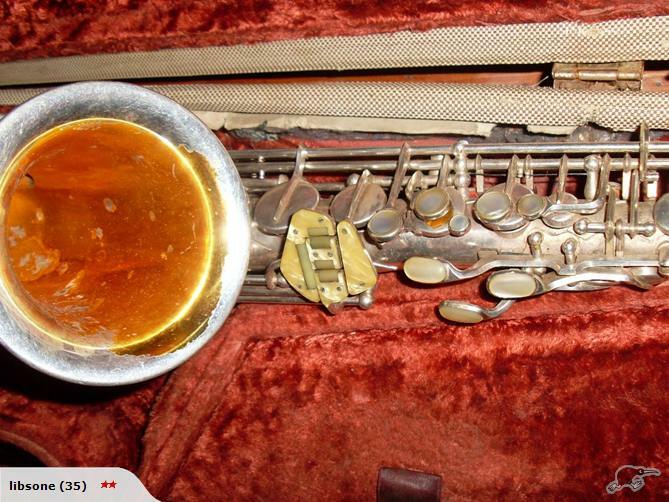 At present, the assortment of wind instruments produced in Kraslice is unusually wide and made up of practically all common instruments. 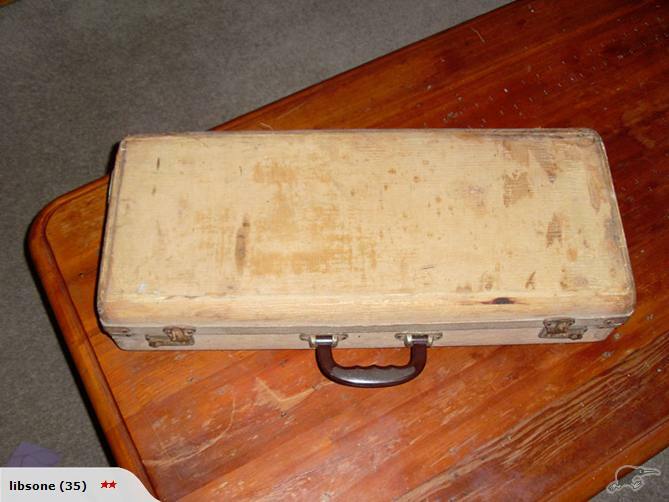 In Kraslice, cases are also produced for instruments, cymbals, some types of percussions and the whole range of children’s musical instruments (Orff instruments). All instruments are manufactured from quality materials, with high level of hand craftsmanship combined with modern technology. AMATI Kraslice instruments are sought after for their excellent award-winning features, such as: beautiful, mellow sound quality, good intonation, functional reliability, perfect workmanship and very reasonable prices. 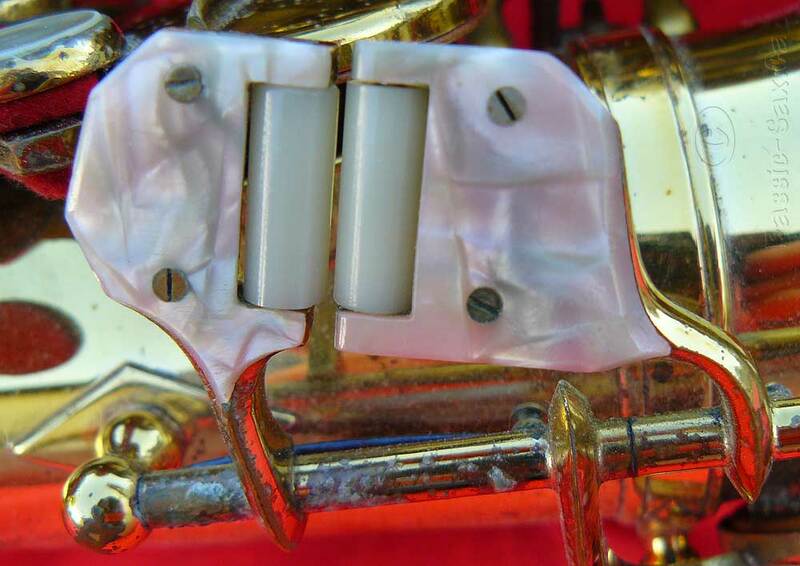 From the assortment point of view, the AMATI – Denak company is the largest musical instruments manufacturer in Europe, producing all common types of small, medium and large in both systems (Piston and Rotary Valve). 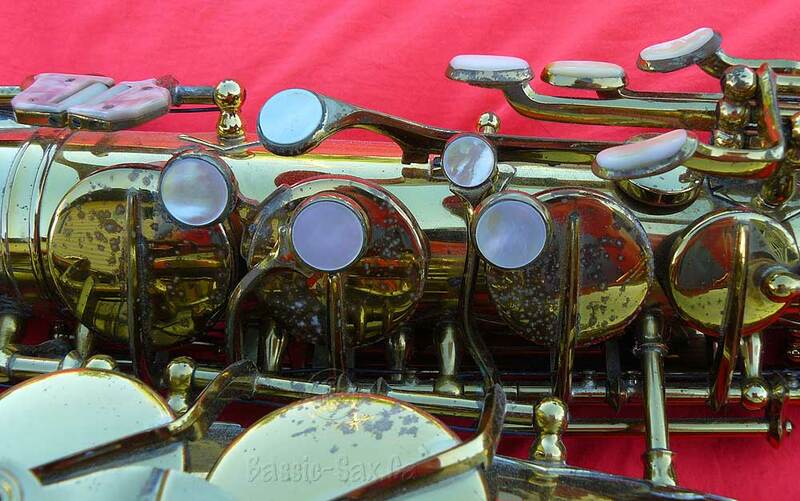 The wide assortment of rotary valve instruments from the V.F. Cerveny company is unique worldwide. Production wise, the AMATI – Denak company is one of the three biggest musical instruments manufactures in Europe. 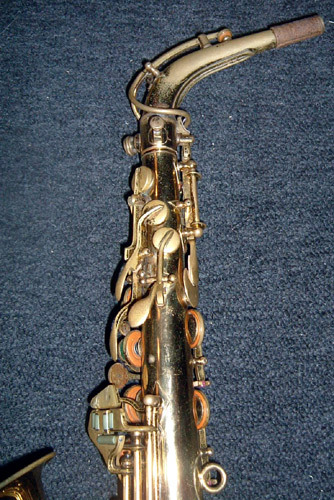 The annual production volume contains approximately of some 10 000 small brass instruments, 4 000 medium and 2 500 large ones; 7 000 clarinets, 6 000 saxophones and many other instruments. Beside these groups, the company also produces Cymbals and some other Percussion and a full range of Orff Instruments. Most recently, a sax-player friend of mine from my old stomping grounds in Fredericton, New Brunswick, informed me that the Hüttl company had actually set up operations in Canada a while back. Ironically their plant was in none other than Fredericton, but it lasted only a few years before disappearing. If anyone has any further information about the Hüttl or Hammerschmidt Companies in general, I’d love to hear from you. 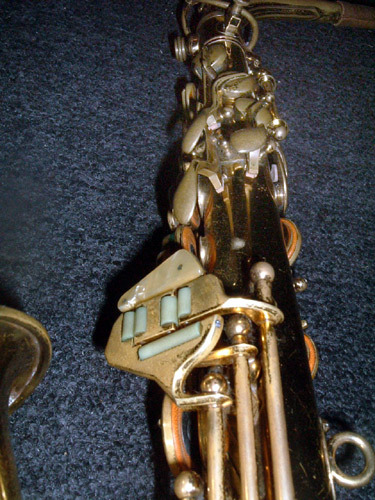 Since fall of 2004, when I stumbled upon and bought a mysterious German-made alto sax with the brand name of Hüttl, the history of this little horn has intrigued me. 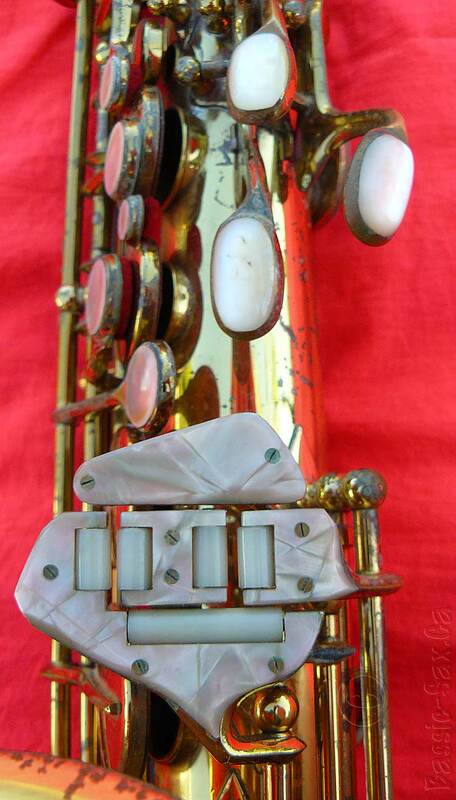 I had posted queries to Sax on the Web, emailed Pete Hales, who at the time owned the Vintage Saxophone Gallery, and posted a dedicated page to the Hüttl on this site in the hopes that someone would find it, and write to me. Over the years, I have received a number of emails with some information, but nothing really concrete: that is, until April 2008. 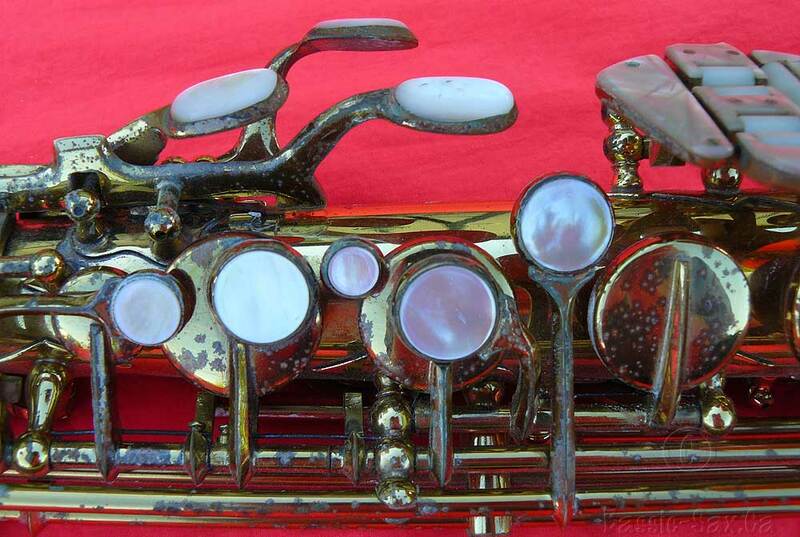 Nearly 3 ½ years since I bought my Hüttl sax, I received emails from two men in Germany. The first man to contact me was Dave Denton. 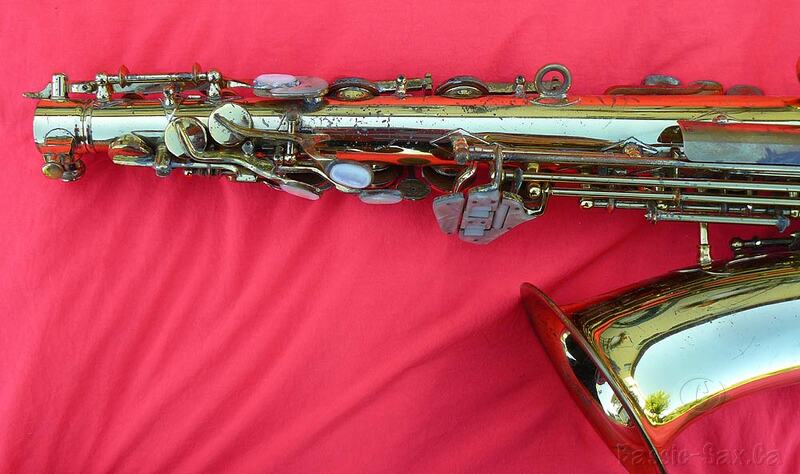 He is a saxophone player who owns a Hammerschmidt tenor. The second man, Uwe Ladwig, is the repair technician who restored Dave’s Hammerschmidt. 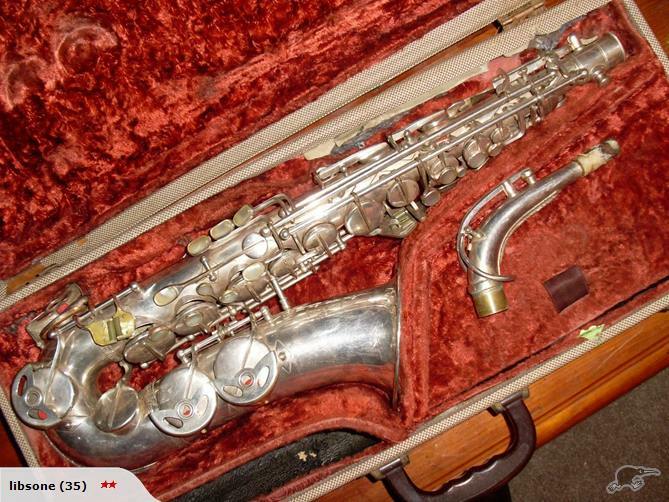 Through the information provided by both of these men, I’ve been able to put together the history of the German-made Hüttl saxophones. What follows below is the history I have combined from Dave and Uwe. 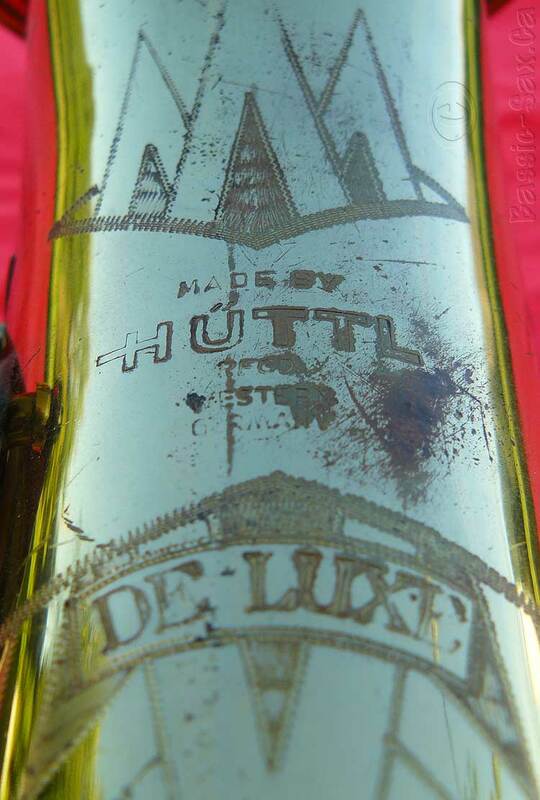 Apparently the German instrument company Hüttl had a reputation for being a top music firm, and delivered to lots of orchestras and schools, so they ordered instruments from various well-known makers and sold them on with their own logo usually engraved on the bell (a practice known as “stencilling”). 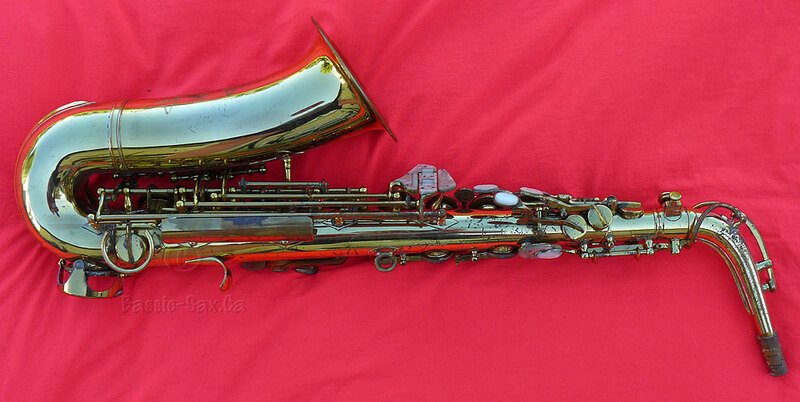 My alto saxophone is a stencil made for Hüttl by Karl Hammerschmidt in Burgau, in what was then West Germany. 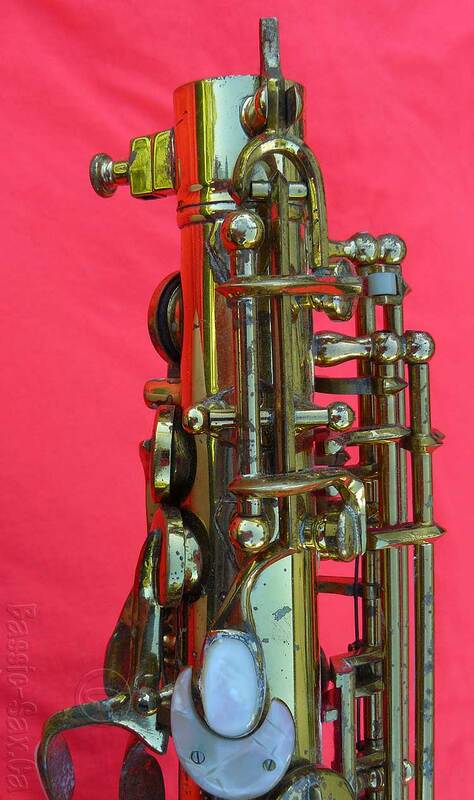 (And to make things even more confusing, Hammerschmidt sold their saxophones under the trademark name of “Klingsor”, and only made altos and tenors. The Klingsor sopranos and baritones were actually stencils for Hammerschmidt made by J. Keilwerth.) 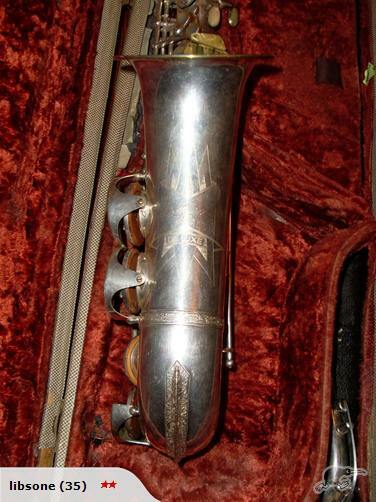 Just an interesting side note, Hammerschmidt made horns for Great Britain and Japan named “La Fleur” and “La Fleur Deluxe”. 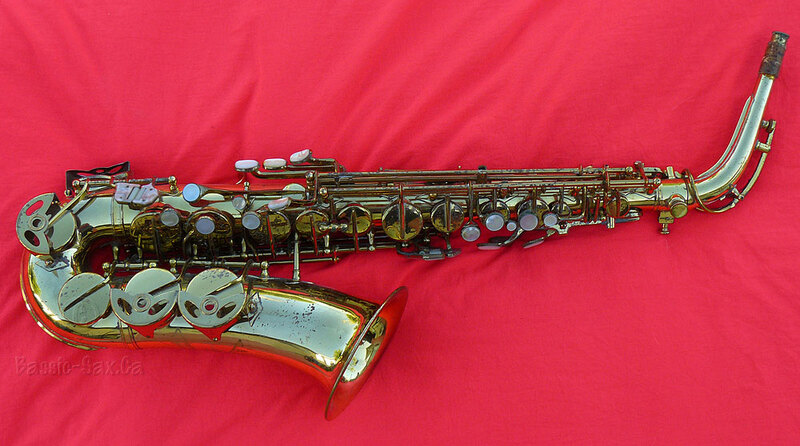 Hammerschmidt saxophones are hard to find these days, especially the top of the line models like the one I have. 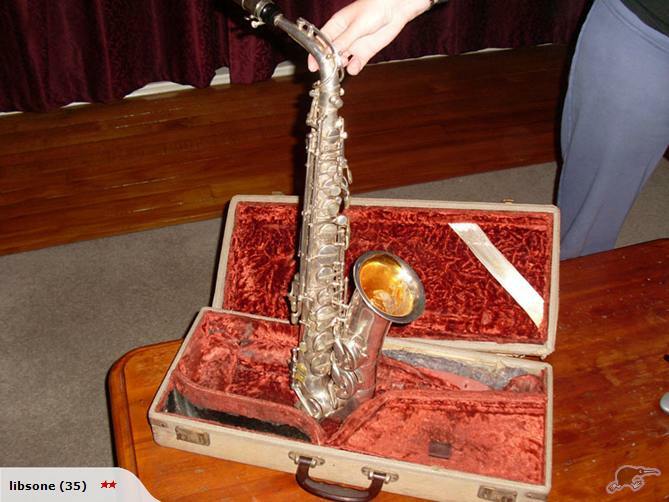 Dave explained that the Hammerschmidt instruments are sought after by collectors, and are really quite rare. 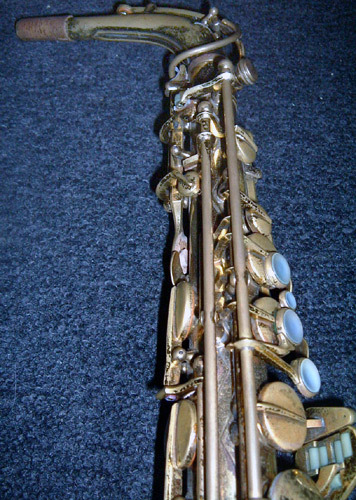 I received an email from a fellow by the name of Tim, who told me that he has a Hüttl alto saxophone which appears to be nearly identical to mine. 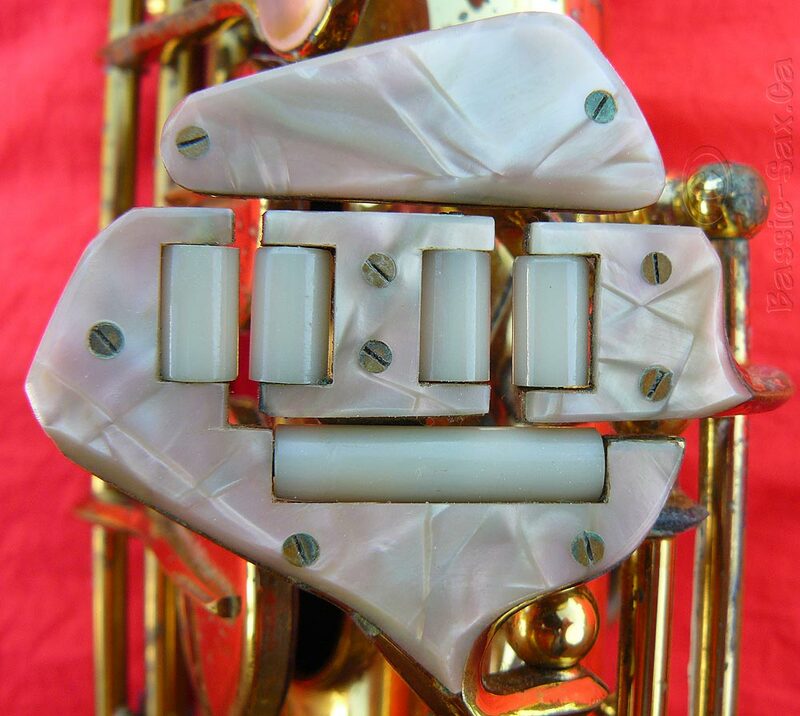 The only significant difference between our instruments is that his is not marked “De Luxe”, and does not have the extra mother of pearl key touches everywhere. 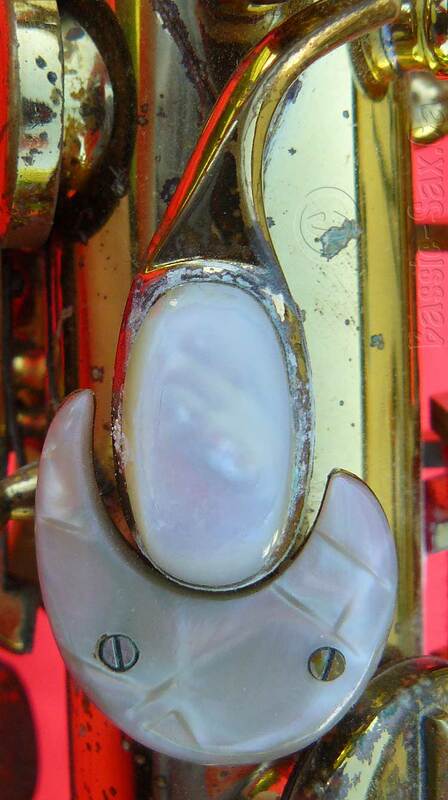 Nor does it have the G# trill key, Fork Eb, or the extra trill key that opens the high Eb palm key. Tim bought his Hüttl in May 2005. 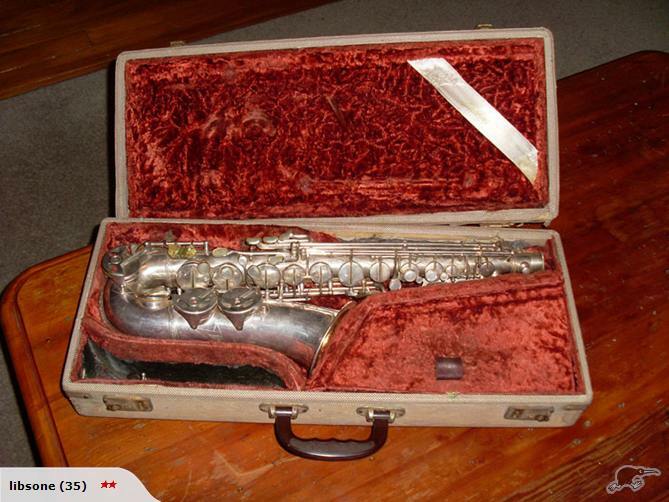 He found it in a used music gear shop in Denver, Colorado. In June 2009, I received an email from someone who was thinking about buying a Hüttl DeLuxe that was for sale in New Zealand. 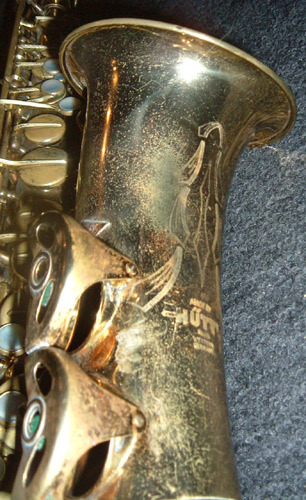 The horn had quite a bit of mileage on it. 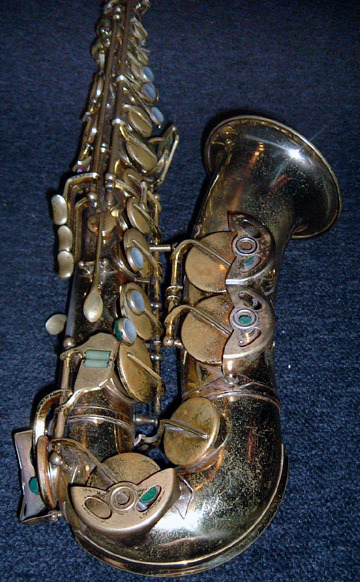 The sax was silver plated, but had had some gold, most likely lacquer, treatment in its bell that looks like it had been mistreated. Check out these photos. 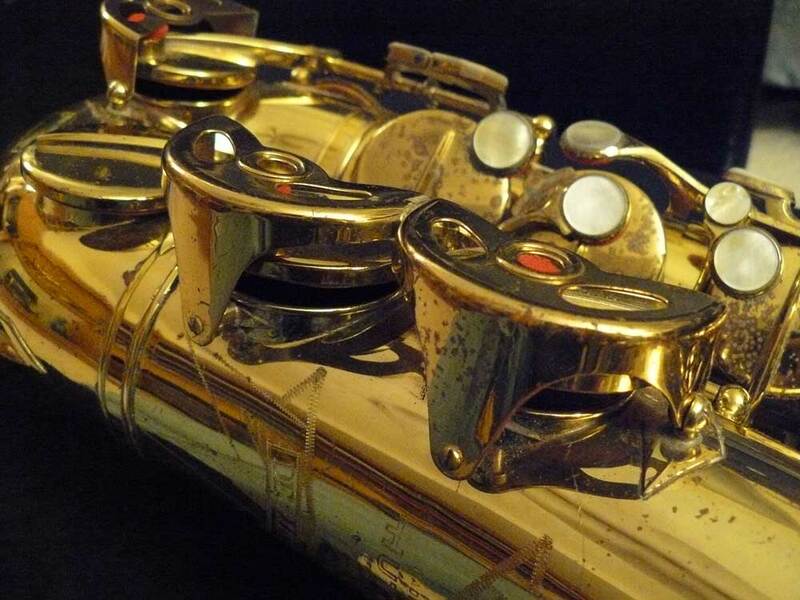 For more information about Hammerschmidt saxophones, be sure to check out the Hammerschmidt page. Now there is still a wee bit of a mystery left however. 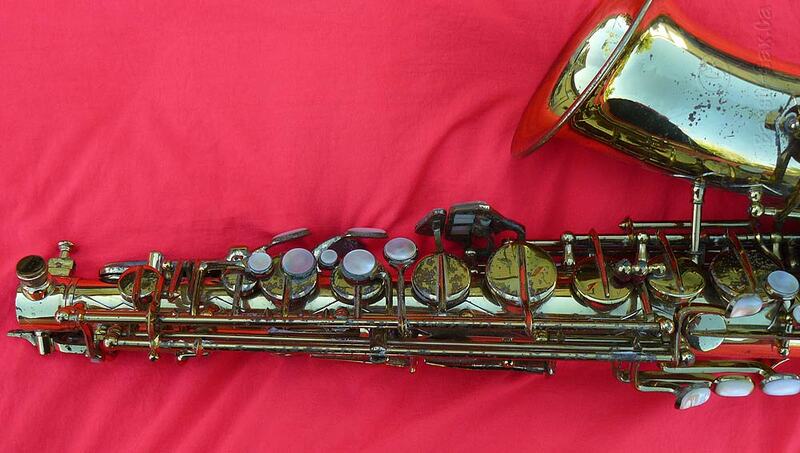 In 2005, I saw an English-made Hüttl tenor that appeared on eBay . What is its story? I was hoping that maybe the new owner would get in touch with me after he/she had figured it out, but I never heard from the buyer. Too bad. 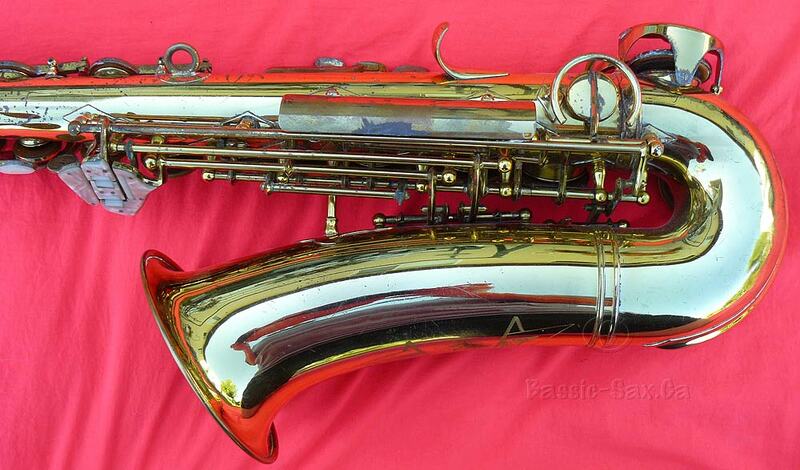 That horn is a real enigma, and looks an awful lot like my friend Kevin’s Lafleur alto, which has so far has defied definitive identification.